Visit Valencia and you’ll soon see a different side of Spain – a melting-pot mix of hilltop fortresses and Borgia ‘palaces’, Arabian castles and rugged sierras, wine-growing ‘fincas’, pine forests and paddy fields, orange groves and golden sandy beaches. 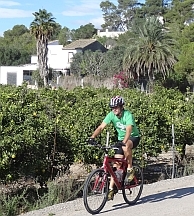 On the coast, vibrant Valencia city is only a pedal-push away from the refreshing flatlands of the Laguna de L’Albufera nature reserve. 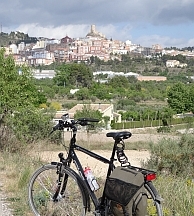 Further inland, the wild Serra de Mariola, the Terres dels Alforins vineyard district and mighty castles at Bocairent, Biar and Xátiva are just easy cycling days away, yet worlds apart. 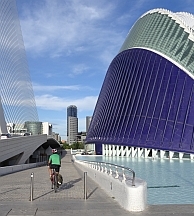 Our self-guided cycling holidays in Valencia feature both linear and circular routes and include hotel to hotel cycling tours.